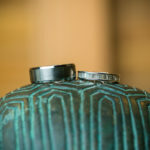 Photographed a intimate wedding at the Nintendo House on the Big Island of Hawaii. 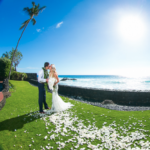 The couple’s friend had a stay at this luxury house on the Mauna Lani grounds, and had them come out with her to Hawaii. And since they had a great venue they decide to push up their wedding plans and get married in Hawaii at the house. Swept Away Events did the coordination, bliss and bloom did the flowers and the beautiful arch and Image Sense Hawaii did the video. The ceremony was on the lawn and then photos afterwards were around the property and down at the beach club.